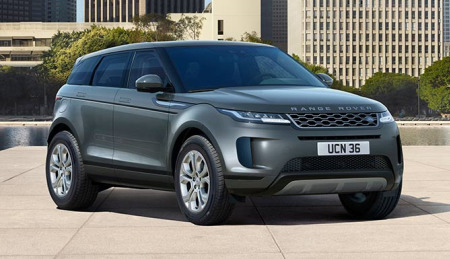 The New Range Rover Evoque has arrived and is available to order from your local Farnell Land Rover retail centre. Arriving Spring 2019. 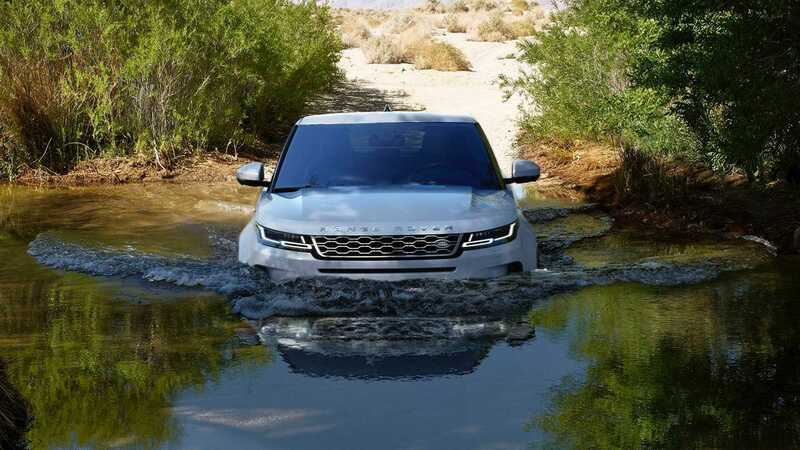 The original luxury compact SUV has got even better. 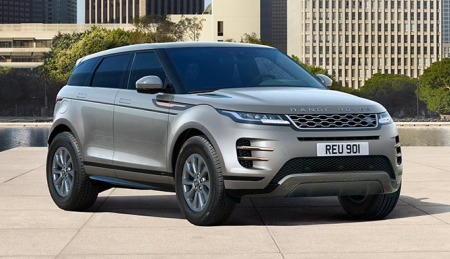 At home both in the city and the country, the new Evoque joins the Range Rover family with a choice of hybrid-electric engines. 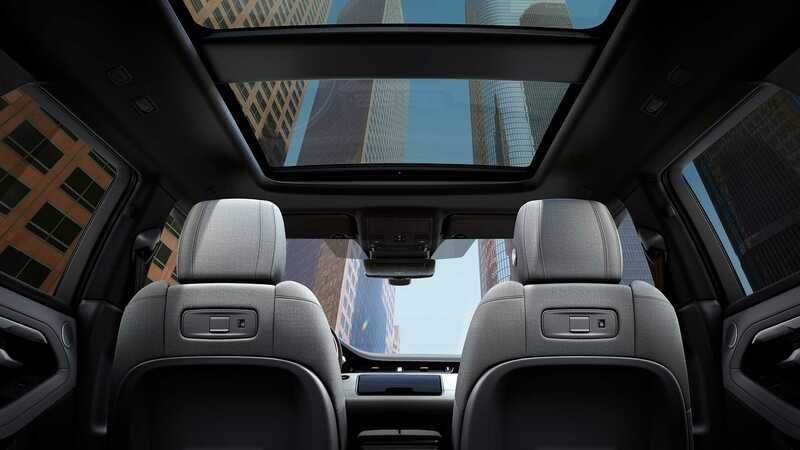 The new Range Rover Evoque is a sophisticated evolution of the original. 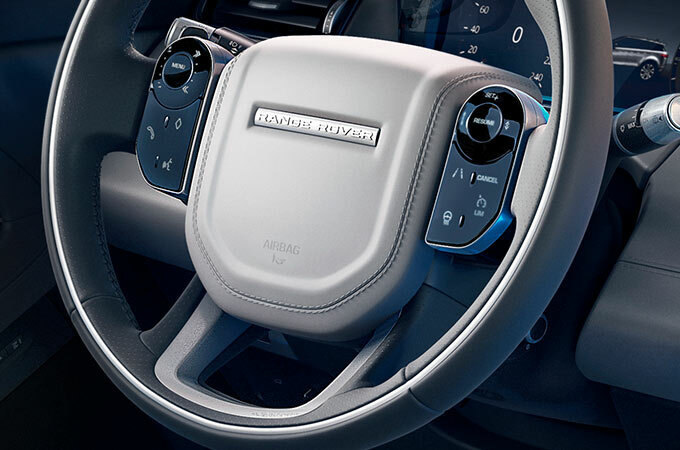 Combining unrivalled Range Rover heritage with cutting-edge technology � designed, engineered and manufactured in Britain � it meets the needs of today�s customers. The continuation of our design philosophy. 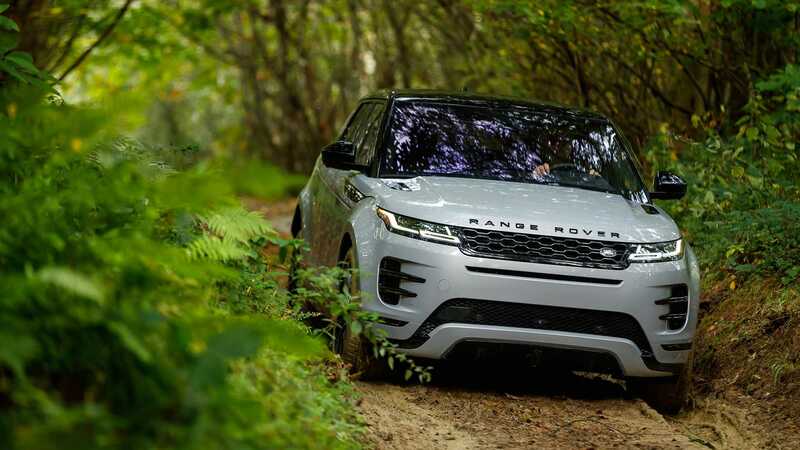 With its distinctive coup�-like silhouette, Range Rover Evoque is a compelling successor to the vehicle that captured hearts all over the world. 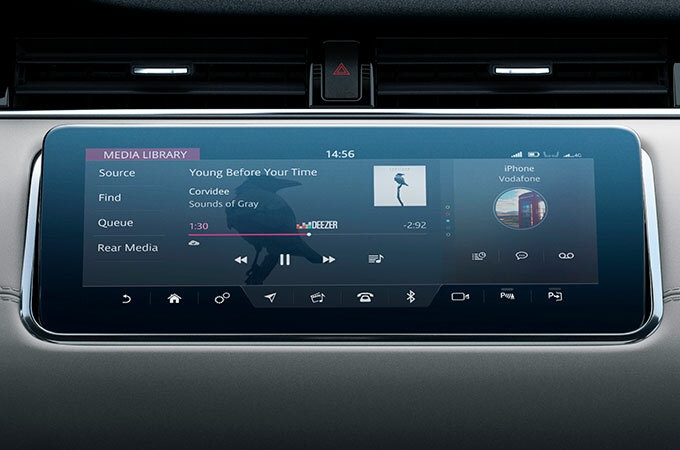 Range Rover Evoque�s intuitive and innovative optional technologies include Touch Pro Duo1, Interactive Driver Display, Head-up Display and Meridian Audio�. We act as credit brokers and we are not a lender. Terms and conditions apply. Annual mileage of 10,000 miles. Excess mileage charge of 14p per mile. Finance subject to status. Unless otherwise stated, metallic paint at extra cost. Library image for illustration purposes only. 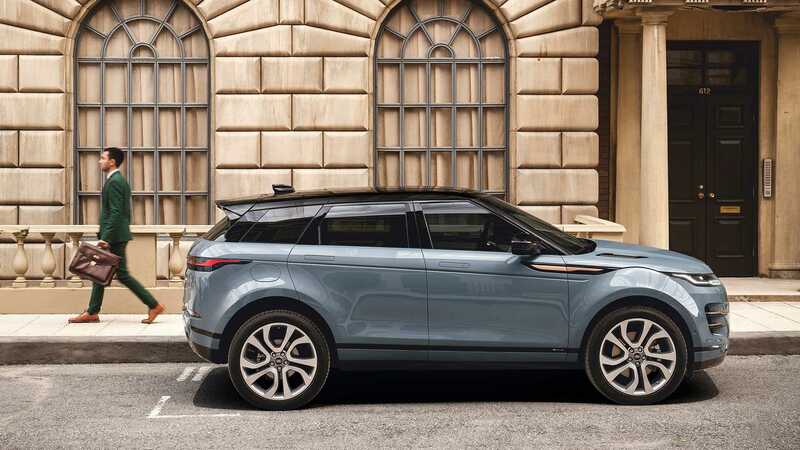 The NEW Range Rover Evoque has a clean and elegant exterior design with burnished copper detailing on the R-Dynamic models. 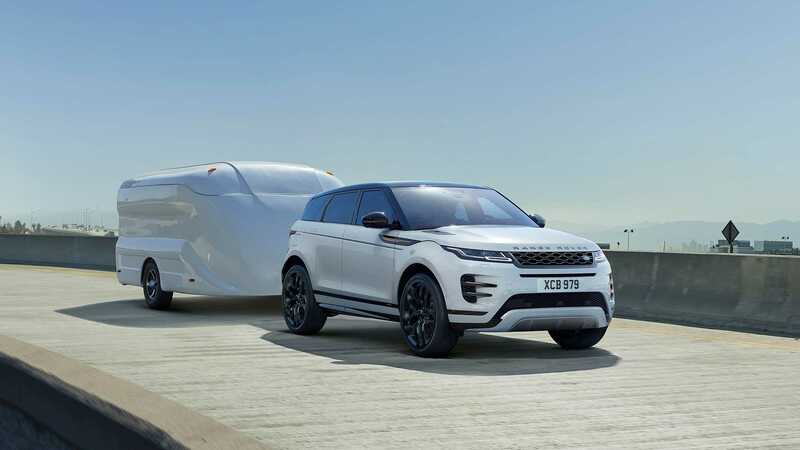 A selection of roof options from panoramic to contrasting roof colours and a super-slim front LED headlight to slim wrap-around rear tail lights. 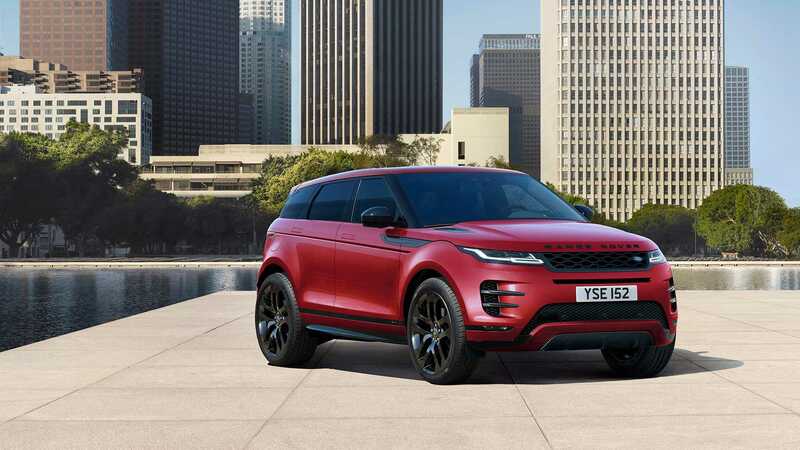 Choose up to 21-inch alloy wheels for a sportier look and you can customer design your New Range Rover Evoque. 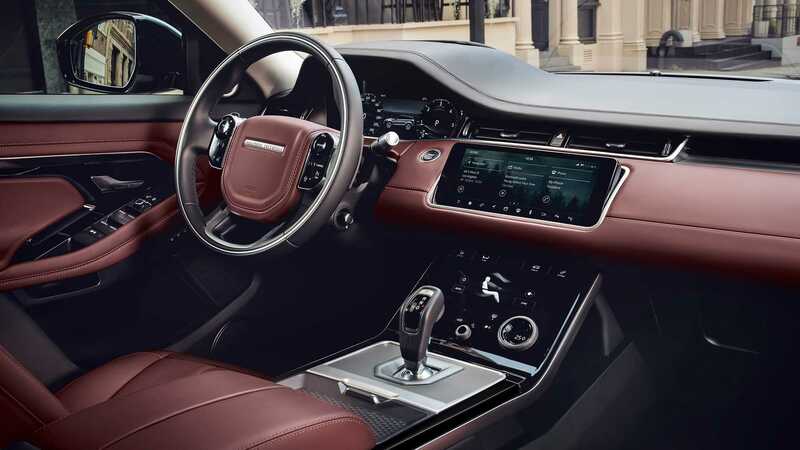 Inside the New Range Rover Evoque it looks clean and uncluttered with a choice of leather trim, faux suede, a woollen option and a new eucalyptus-derived textile. 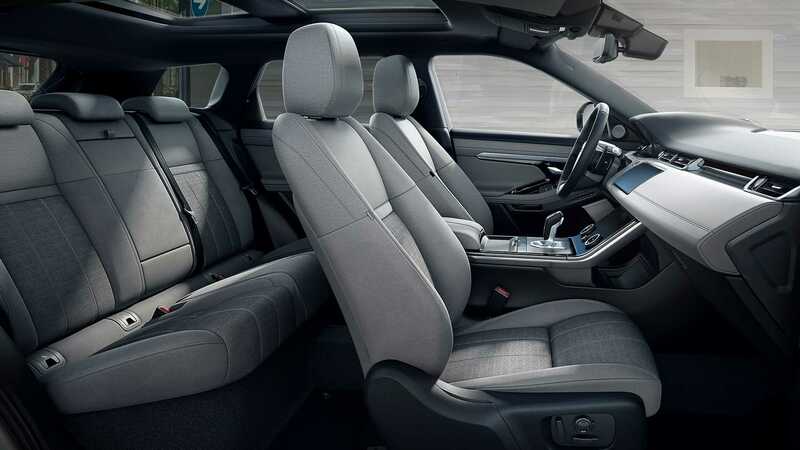 Featuring two USB ports and a 12V power socket inside the chubby box and rear passengers can access a 12V power socket or two optional USB charging points to keep their devices charged and comfortably view tablets. 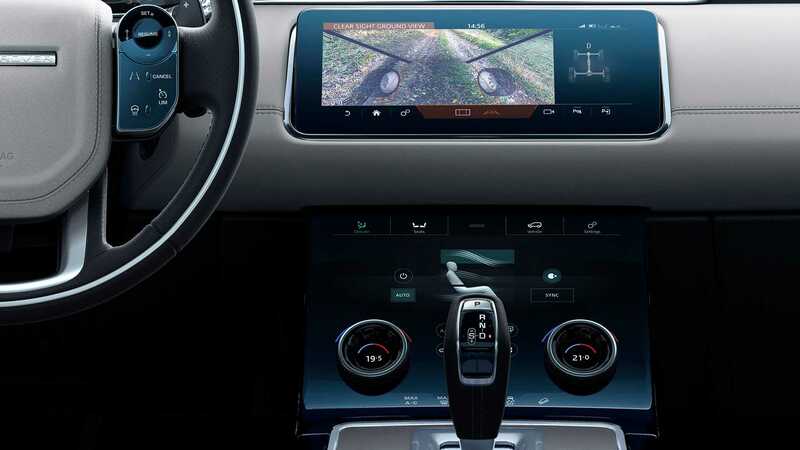 You will find twin-screen 10-inch touch pro duo infotainment system, which combines a rake-adjustable upper touchscreen with a second screen in the main console. 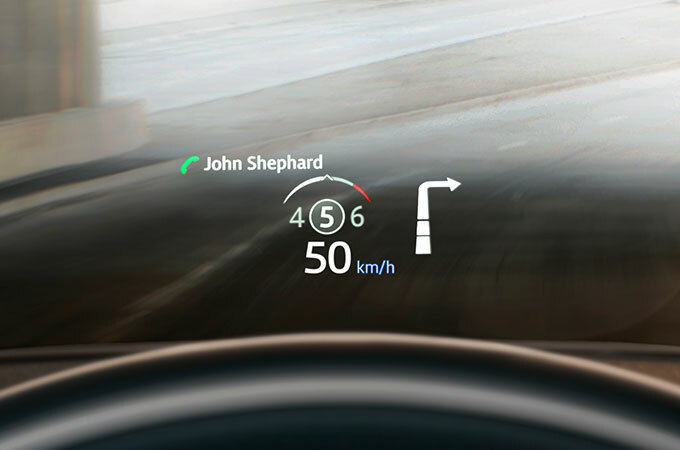 Also included is a 12.3-inch interactive driver display behind the steering wheel. 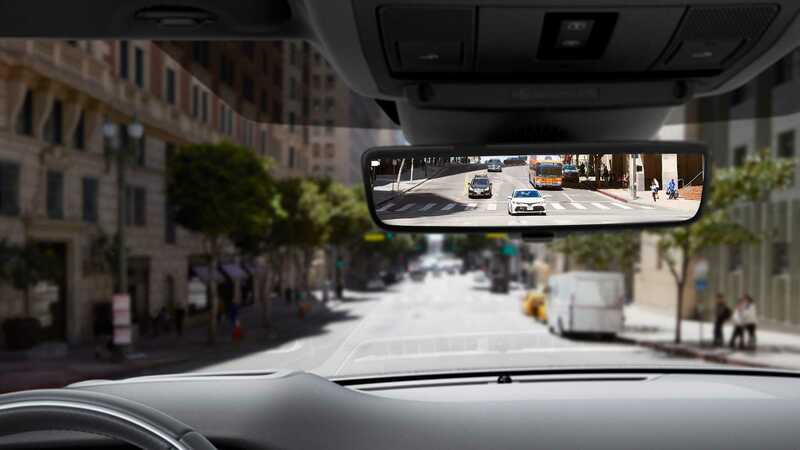 ClearSight interior rear-view mirror provides a clear line of sight for normally obstructed views, delivering greater levels of confidence when driving off-road or in challenging urban situations. 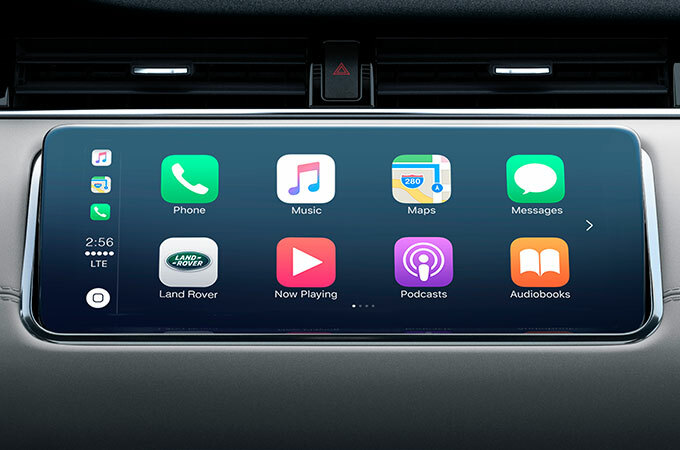 Featuring InControl Apps technology, this optional Pack allows you to control vehicle-optimised apps on your Android� or Apple� smartphone through the Touchscreen. 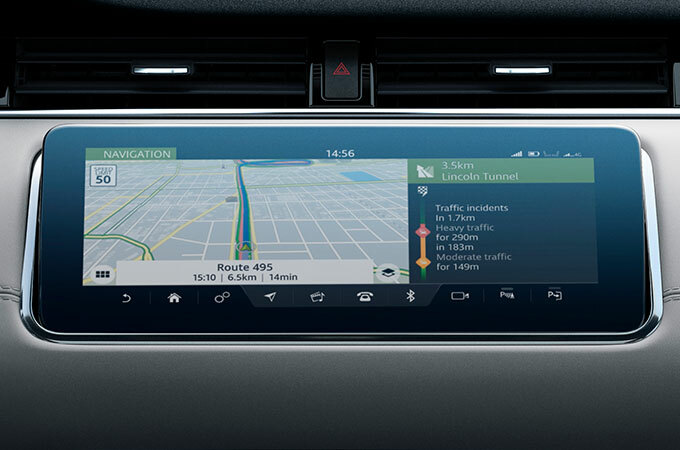 Pre-condition the climate, lock, unlock or locate your vehicle and track your journeys from your smartphone or smartwatch. 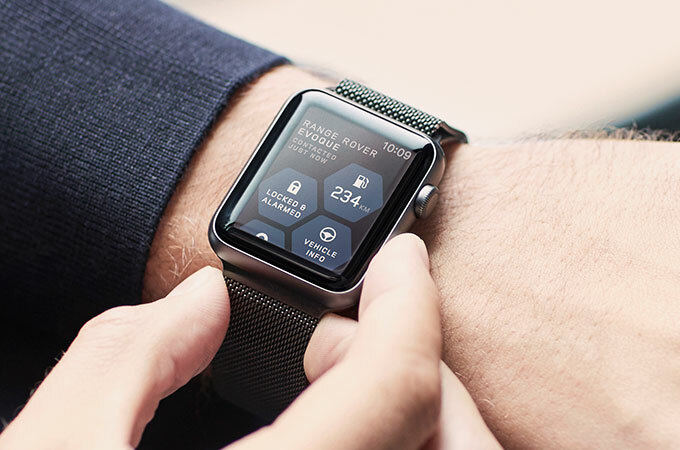 Compatible with most smartphones, Android WearTM or the Apple Watch�. INTERESTED IN THE NEW RANGE ROVER EVOQUE? 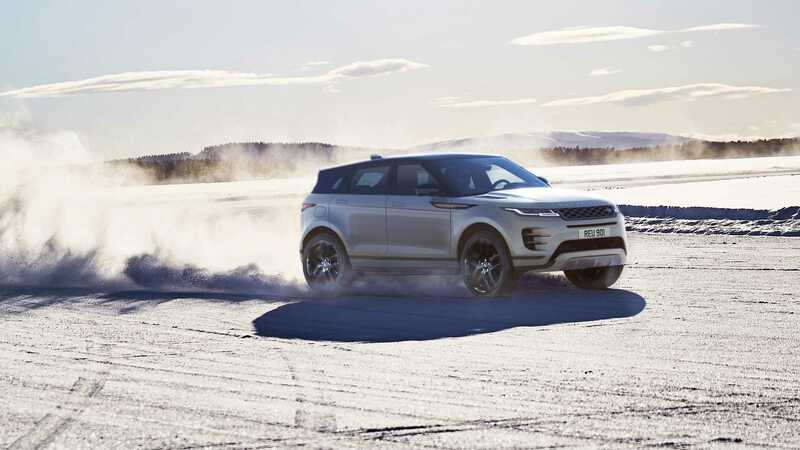 The Range Rover Evoque will be available soon in our dealerships to test drive. For more information about our dealerships Click Here. If you are interested in the New Range Rover Evoque and want to be kept up to date with the latest news about this car, please complete your details below.